No matter from books and magazines television or the Internet, parents are bombarded with the message that science teaching for kids is very important. Science experiments, even very simple experiments fuel kids’ curiosity for the world and are helpful for kids to learn how to observe, talk about what they see and predict what might happen. But most parents feel puzzled and inadequate to teach science at home or reinforce science lessons the kids got at school. 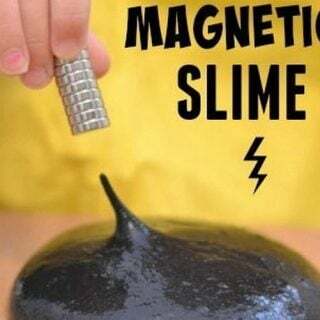 Fortunately, here are some awesome and hands-on science experiment activities and games that parents can have fun with kids. 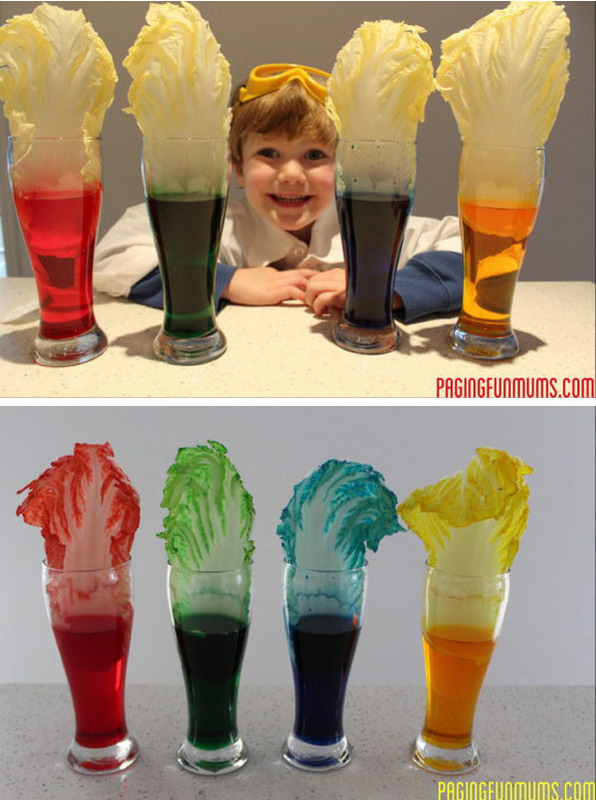 All this experiments are both visually appealing and fun for kids and will encourage a love for science in your kids. 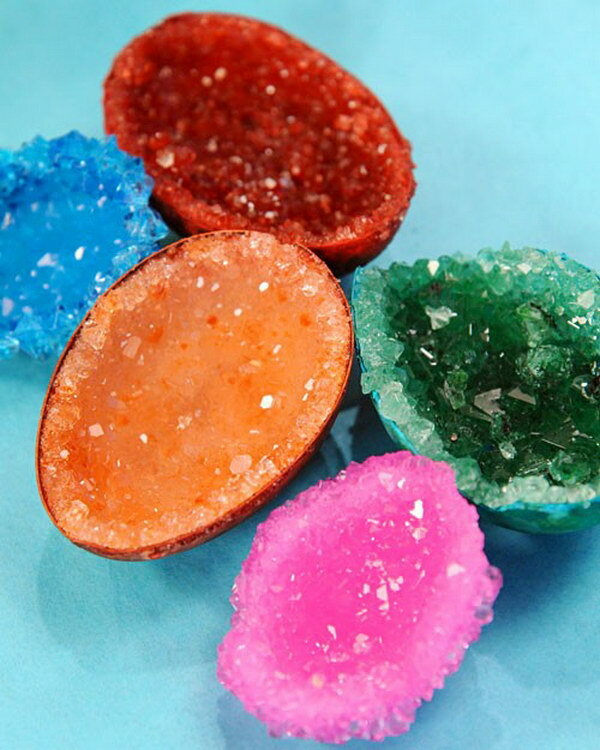 Check out this round-up and learn all about the crystallization process with geodes, test the power of nature by walking on eggshells and blow up a balloon using soda and candy with your little ones! Have great fun! This experiment is super easy to set up and has a big wow factor. Kids have fun to see who could insert the highest number of pencils into the bag. More details about how and why this works via PagingFunMums. 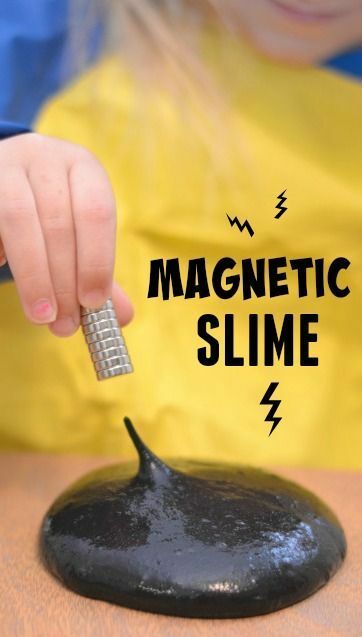 What a cool science experiment that your kid will surely love. Tutorial Via imgur. 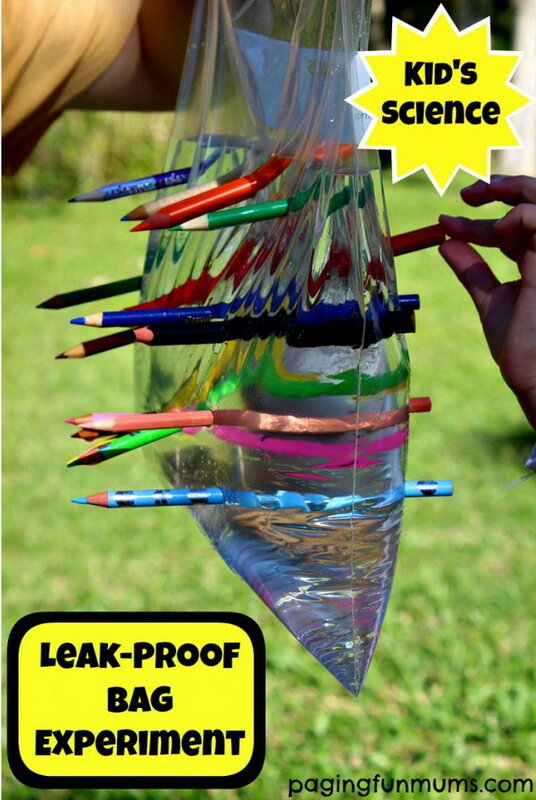 This is an awesome and extremely easy kid’s science experiment. Kids are impressed to watch the colored water “travel” through the paper towels and fill an empty glass. So cool and magic! 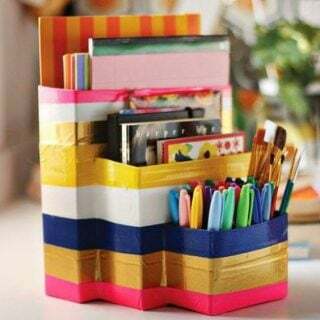 Get more tutorial and details via coffee cups and crayons. How beautiful and delicate these homemade crystal gardens are! 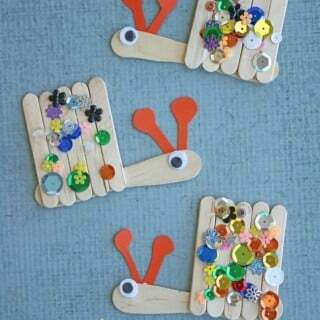 Kids are going to make this. 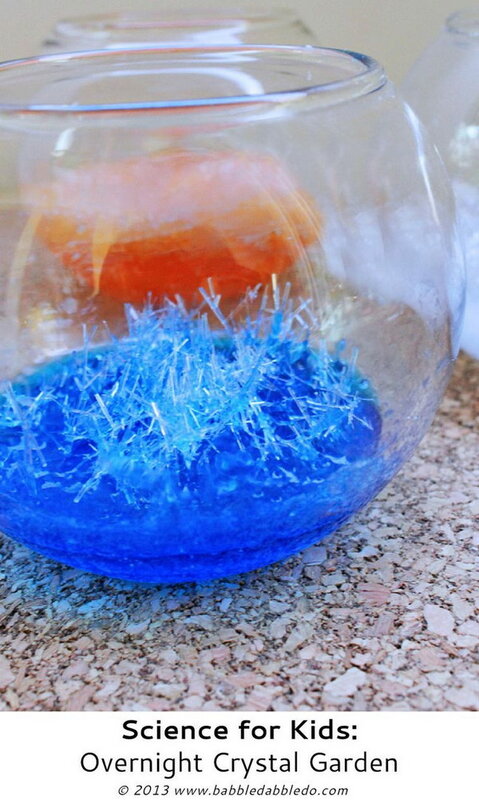 The fantastic tutorial for this fun crystal science experiment experiment via babble dabble do. DIY Glowing Flowers. So cool and fantastic to have some glowing flowers to have fun during the dark nignt. Kids will have great fun to have this magic flower experiment. 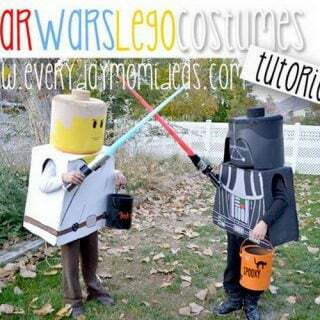 Tutorial via fun at home with kids. 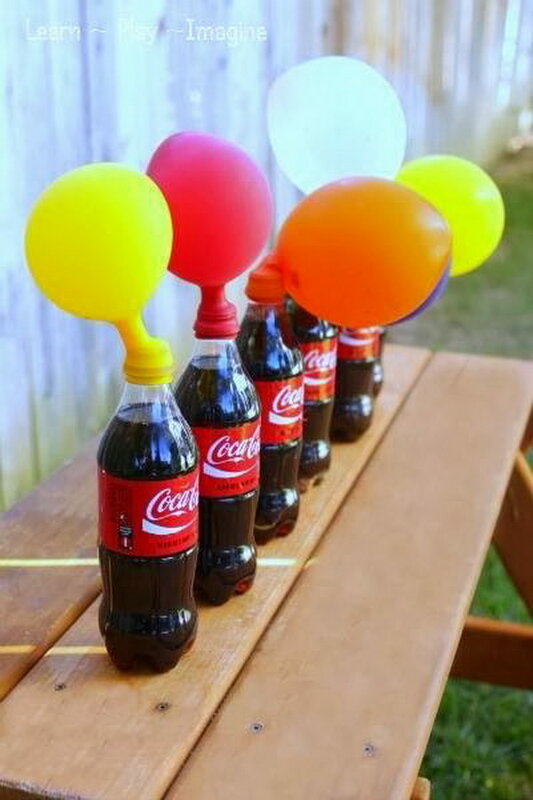 How to Blow up a Balloon Using Soda and Candy? Have you imagined to expand a balloon using soda and candy？This is definitely amazing fun and one of the coolest science experiments for kids of all ages. More details and tutorial via learn play imagine. 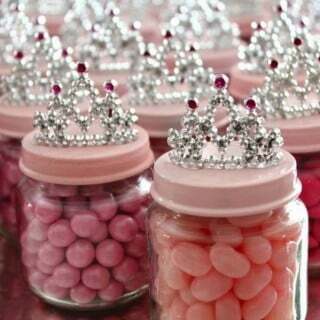 Use candy to create a beautiful rainbow in a jar. It is so beautiful as the sun shone through them in the window. Get the tutorial via play dough to plato. 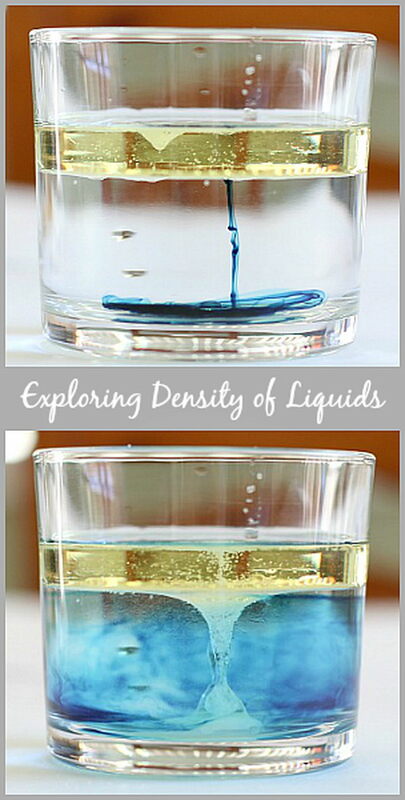 Explore the Density of Liquids. 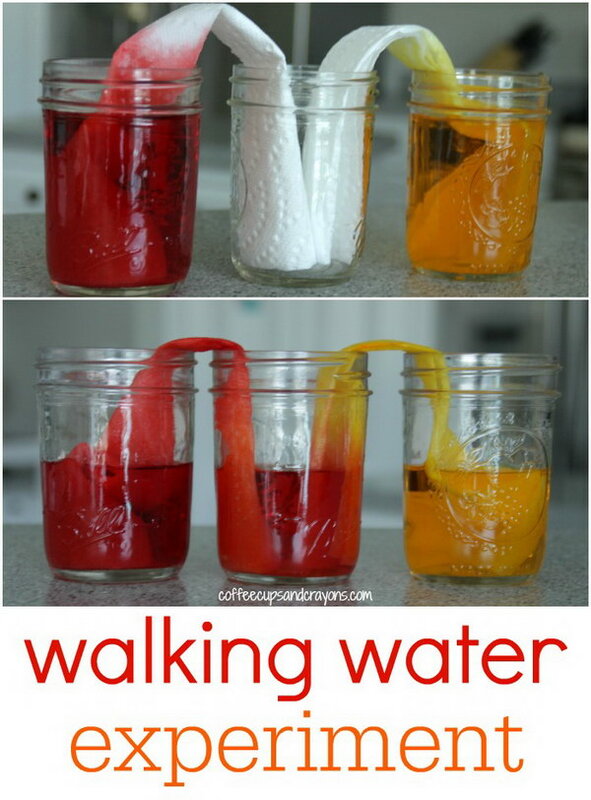 A super fun way for kids to explore the density of liquids just with a few household material in your kitchen! 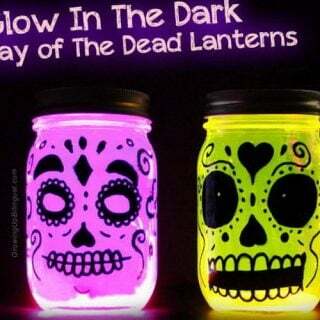 All you need is clear glass,water, vegetable oil, food coloring, salt. Tutorial via Buggy and Buddy. This easy-peasy, low cost science experiment uses borax to grow crystal names. 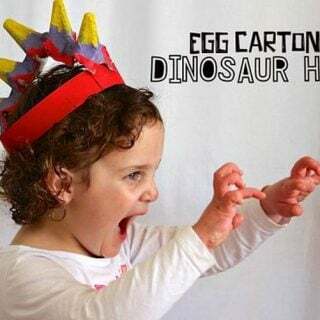 Super cool for your little one to do with great fun. Tutorial via play dough to plato. Learne how plants absorb water! Here is a creative way to learn and text how plants absorb water. All you need for this fun science experiment is food coloring, water and some jars. Good luck with your scientific activities! More directions via paging fun mums. This melting ice experiment is gorgeous and colorful. Melting ice with salt and then adding liquid watercolors. 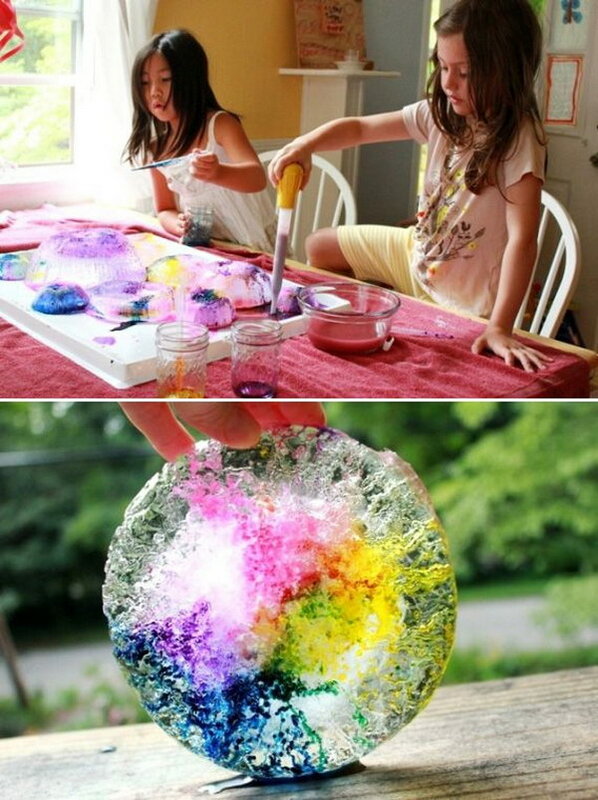 A super simple kids’ science experiment to have fun. 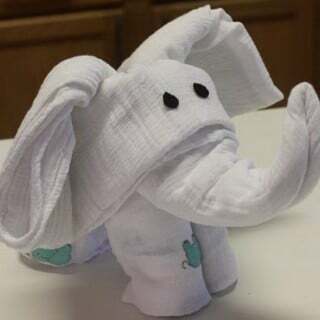 Tutorial via artful parent. This particular science activity has lots of fun and a great introduction to those children who haven’t had much experience in observing chemical reactions. 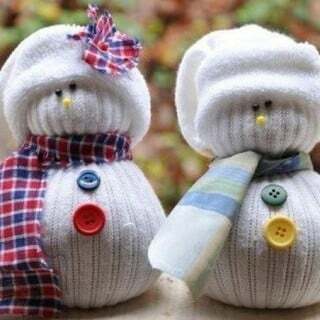 Tutorial via fun at home with kids. If your kids are bored of shaping and molding the play dough, bring out the vinegar and droppers or squirt bottles and start fizzing! You kids will have a strong liking on this new and fun activity. Check out more tutorials via Powerful Mothering. 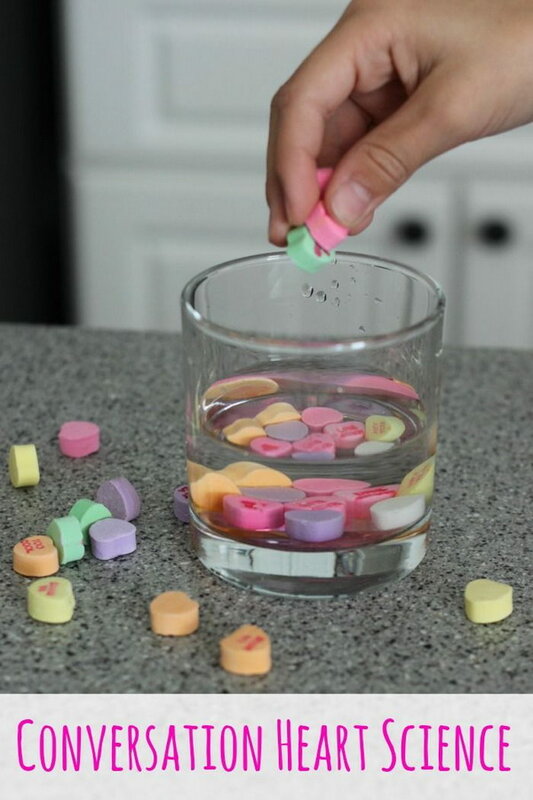 Use different supplies in your kitche, like water, vinegar, honey and salt to text the reactions of candy. This candy science experiment is a great and easy way to get your kids to think like a scientist and practice their problem solving skills! Tutorial via coffee cups and crayons. 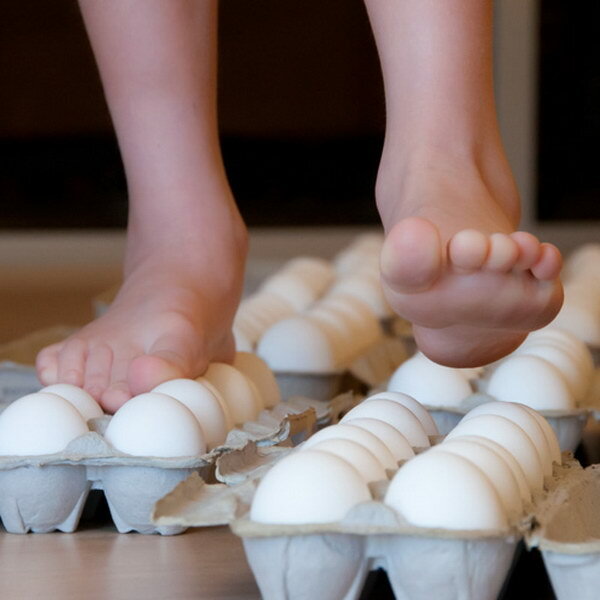 Have you imagined what really happens when you walk on a carton of eggs? Have good luck and fun with your scientific activities! More details via Steve Spangle Science. Learn all about crystallization process by making your own geodes. Get the tutorial and recipe here. Dissolve egg shell off with vinegar and it will become a “naked egg” that can bounce and a ” transparent egg” under light. Via imgur. 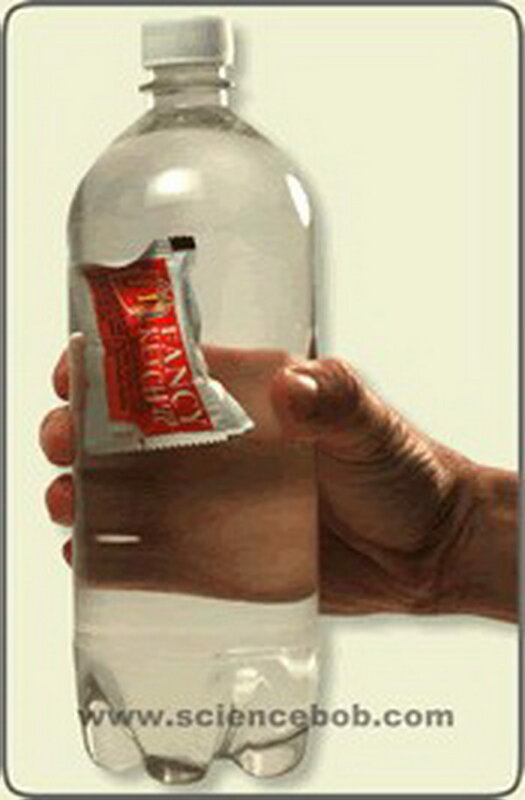 Place a ketchup bag in a bottle of water and make it float or sink at your command! This experiment is all about buoyancy and density. Learn how to do and how does it work via sciencebob.